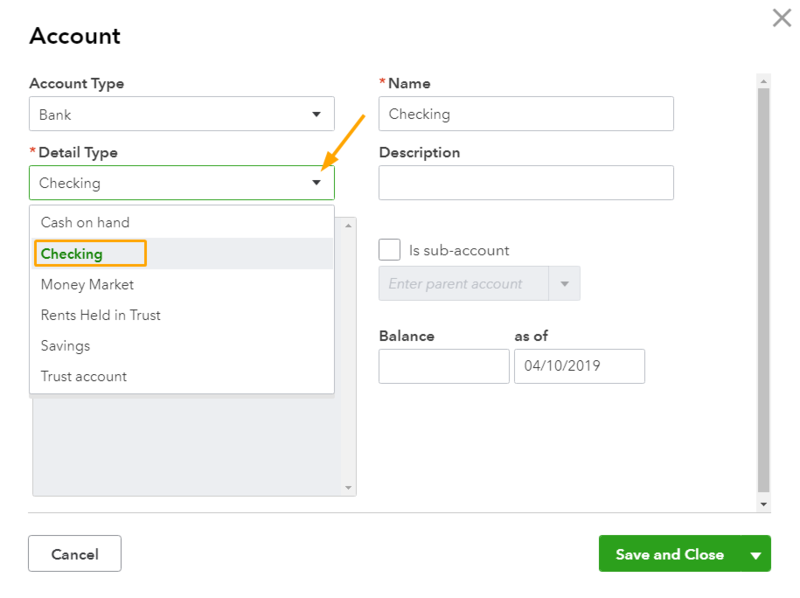 There are two methods to set up a new bank account in QBO. 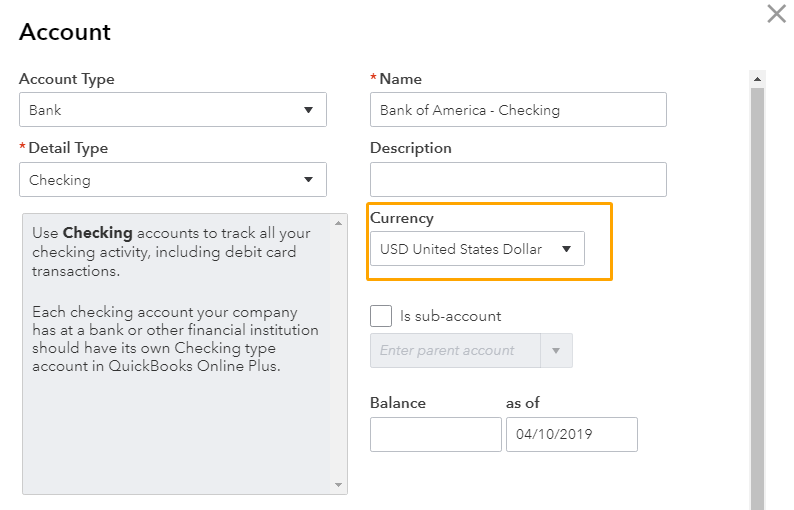 This is generally used for a bank account that you know has a bank feed available and is set up for bank feed access. This option is great if there is no bank feed available or if you want to connect the bank feed later. In the following window, you will select and enter the account particulars. 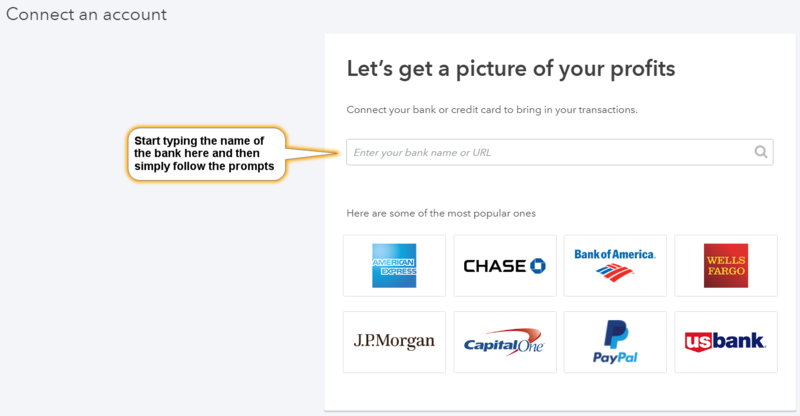 'Name' - provide your custom name for this bank account. 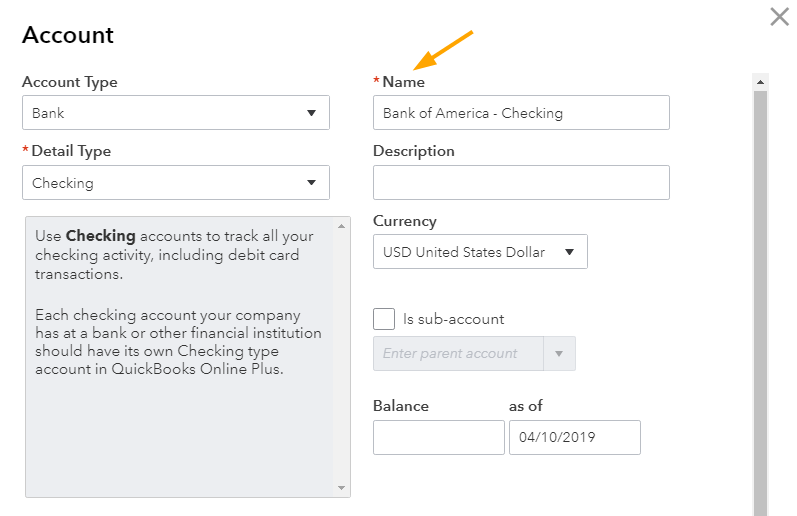 You can also add in a description in the description field. In our example, the current date is the 10th of April 2019. The account we are adding isn't new and has been in use for a few years. 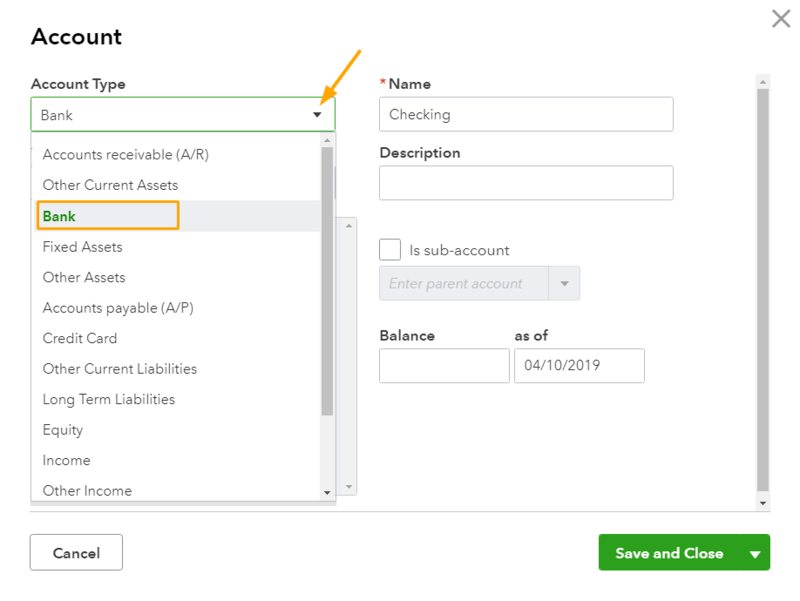 We've only started using QuickBooks online on the 1st of January 2018, so we need to enter the closing balance of the bank account to be on the 31st of December 2017 (this is also known as a conversion balance when changing accounting systems). 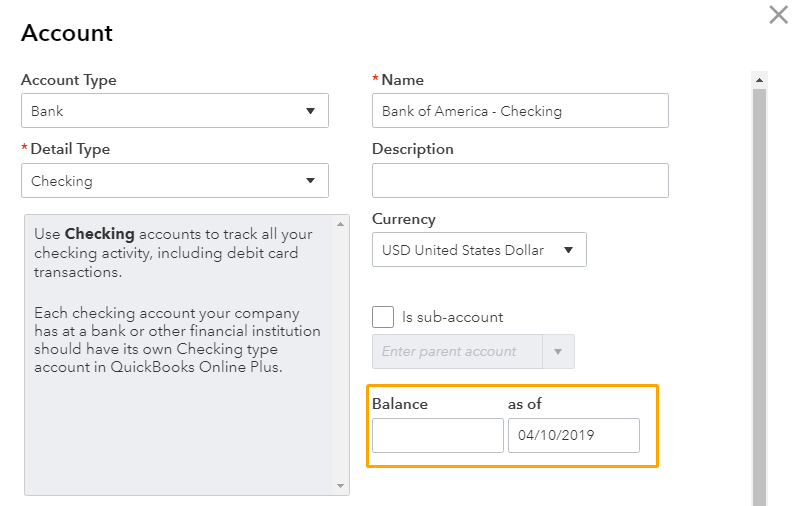 Please note: If this is either a new bank account or an old bank account, and you plan on importing all past bank statement data into QBO, you will not need to enter an opening balance in the Balance field. The closing balance for this account as of the 31st of December 2017 was $31,323.58. 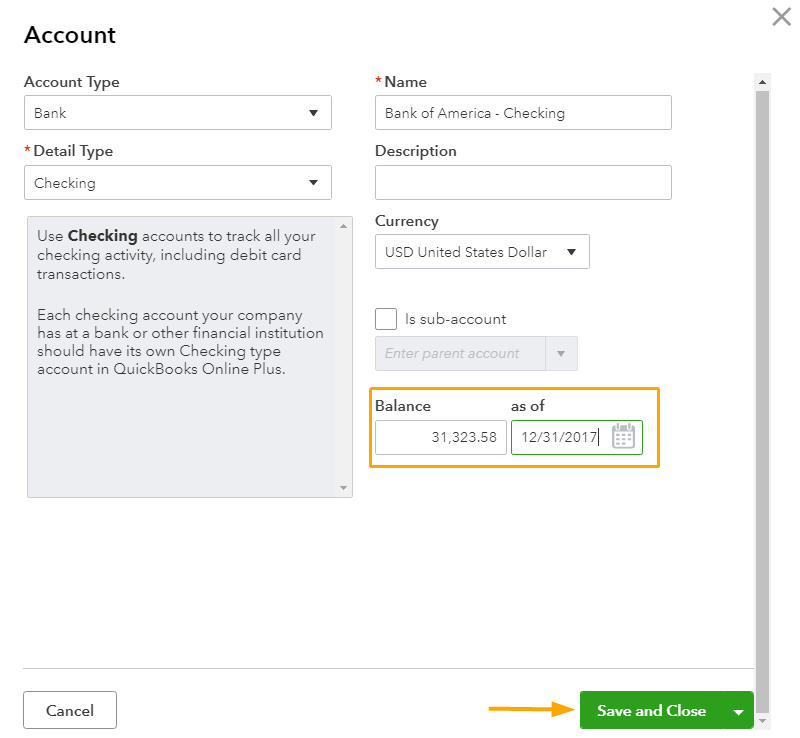 After you've added the bank account to QuickBooks, go back to A2X and map it to that account. And your new bank account is now linked to A2X!